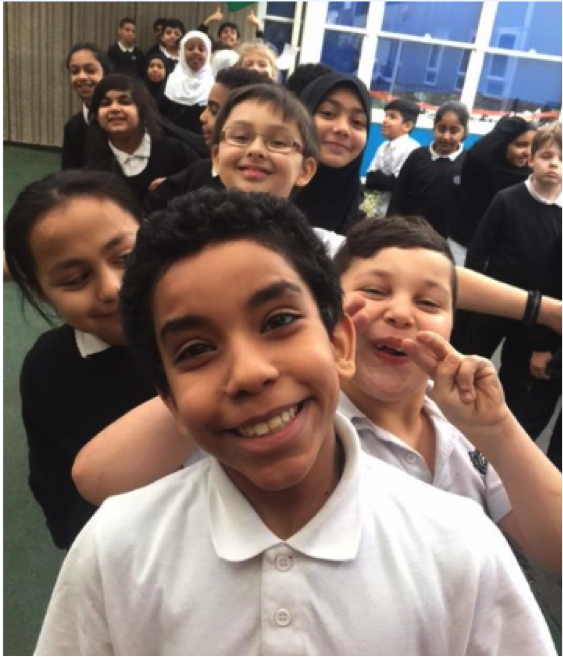 I'd like to say a very big thank you to Anoara Mughal and everyone I met at George Mitchell Primary School for the fantastic welcome they gave me when I visited them last month! 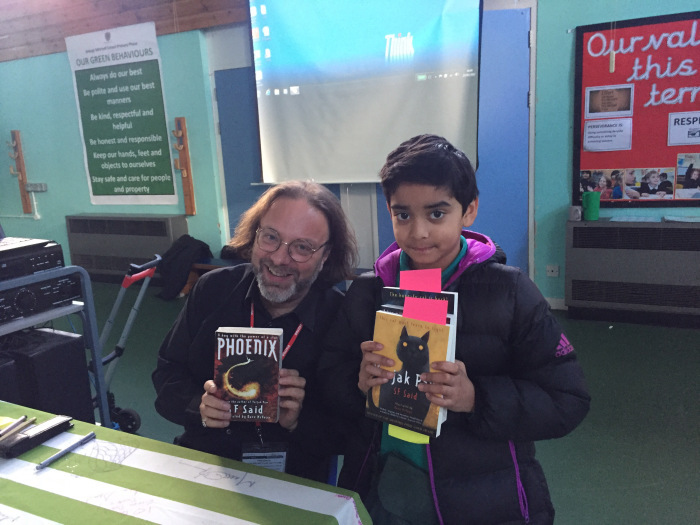 I enjoyed talking about reading and writing with them, and it was inspiring to see how enthusiastic they were about their favourite books and authors. Quite a few of them had read Varjak Paw already, and some had also read The Outlaw Varjak Paw and Phoenix. So they had lots of great questions for me! It was an absolute pleasure to sign books for everyone at the end. Mrs Mughal wrote an amazing blog about the visit, which you can read by clicking this link. 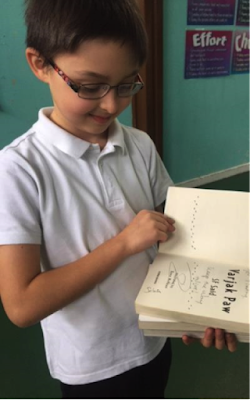 In it, she describes how inspiring it can be for young readers to meet authors. I would just add that it's equally inspiring for authors to meet readers – because all authors were once young readers themselves, and some of these readers will one day be authors too! 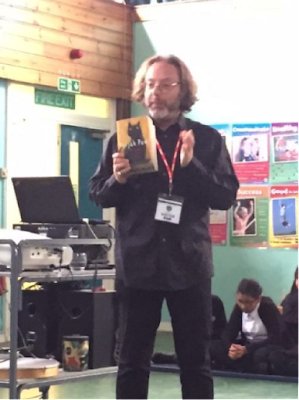 For anyone at George Mitchell who is interested in writing – here's a link to all my writing tips. But if anyone would like to ask me a question, or would like to say anything about the visit or my books, just leave me a comment below!